What a fun way to stimulate your baby’s senses! 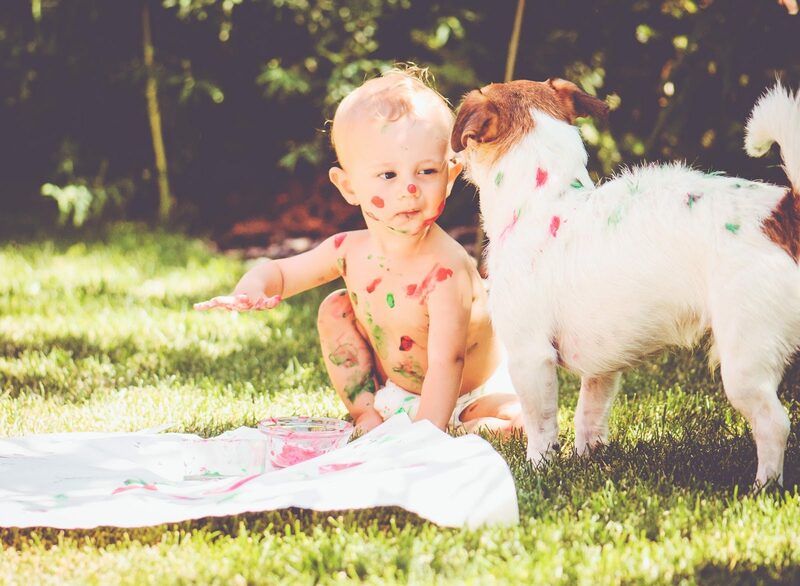 Just mix three tablespoons of sugar, two cups of water, a pinch of salt, and some food coloring to create your own baby-safe finger paint (mix over low heat until thick). We’d recommend doing this activity outdoors, and possibly keeping an eye on the dog.